Marvin McKenzie was born in the Pacific Northwest and became a Christian at the age of eighteen. 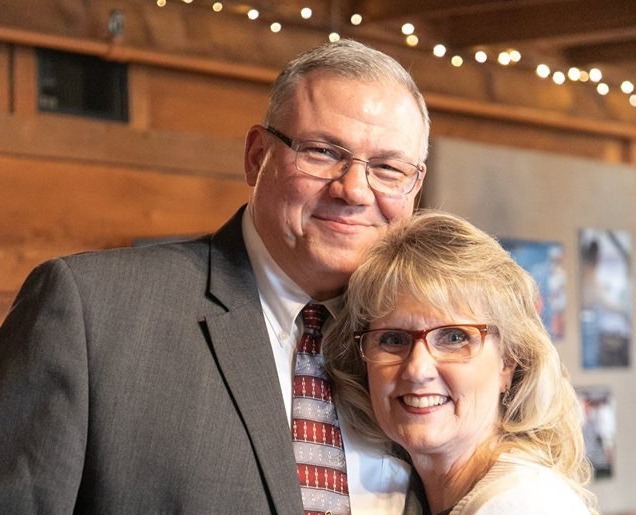 He has been in the Baptist ministry for thirty years and has planted and pastored churches in Washington and Oregon. Besides his pastoral ministry, Marvin has been actively involved in training men for the Baptist ministry. He has conducted local church Bible Institutes in those churches he has pastored, from which a number of men have entered the ministry. Marvin also served as: Vice President of the Western States Baptist Bible Fellowship, The Board of Directors of Pacific Coast Baptist Bible College in San Dimas, CA, Dean of men at Pacific Coast Baptist Bible College in San Dimas, Executive Vice President of Pacific Coast Baptist Bible College in San Dimas, CA and Executive Vice President of Heartland Baptist Bible College in Oklahoma City, OK. Marvin is married to Anita. They have two sons, Bohannan and Caleb. Both are Baptist pastors in Washington State. Marvin enjoys camping, fishing and horses. I am in no position to argue why one’s music is better than another’s. I can point out that a David has a heart after God and these people had hearts of rebellion. They claimed a love for the Lord, but their actions said otherwise. That’s where I am with new music. Those who compose the newer kinds of music, and whose testimony is one of rebellion against the former things, have, in my opinion, disqualified themselves as creators of Godly music. Amos 5:18-20 To What End? If it were not that this is the very Word of God, I would hesitate to draw attention to it. God chides them for hoping in His coming because there was no hope for them in it. Oh, His coming is a hopeful thing, but only for those who are prepared to meet their God. To all others it will be dark and terrible. I see a parallel in so many today who speak about the coming of the Lord or who expect that they will go to heaven when they die, but they are not prepared. Eternity, with all its promises, holds no great treasures for them because, well, that’s not where they are going. Without Jesus Christ they are without hope. They might not believe it. They might choose to ignore it. They might think it is not right of God to do it. The truth is, those who have lived in sin and without Christ have only the blackness and torment of hell to look forward to. If you are concerned about your future, accept and obey this promise. If you are without Christ and not concerned, then you are a matter of my prayer. If you are saved and have eternal hope, then I am grateful for you. Author marvinmckPosted on April 17, 2019 April 23, 2019 Categories Old TestamentTags AmosLeave a comment on Amos 5:18-20 To What End? This is the purpose of the chastening God brings upon Israel. His judgment is not out of anger. He is not attempting to execute vengeance upon them. God’s purpose is simple; He seeks fellowship with them. That fellowship requires agreement. Agreement must come through their repentance. This is the tenor of the whole of the Bible. God’s great goal, His purpose in the plan for the ages, is agreement with man. God seeks our fellowship, that we walk together with Him. That only happens with agreement. Agreement happens when we repent and turn to him. Repentance is the result of the positive response to chastening. My understanding of prophecy, and of this chapter, places it at the end of the Tribulation and just prior to the Millennial Kingdom. Jesus has defeated the armies of Antichrist and set down at the Mount of Olives. He has established His throne in Jerusalem and is preparing for His reign. But first, He must ensure that only a saved people enter into the kingdom. There are multitudes in the valley of decision, and it is Jesus doing the deciding. Some to everlasting condemnation and the some to the joys of His kingdom. Those in the valley will be subject to the decision of Christ. But each of one has the right of decision today. You may come to Christ now and know your eternity is secure. If you reject Christ or choose to ignore the call to come to Him, He will decide for you. And He will decide against you. The Charismatics and Pentecostals have hijacked many passages of Scripture and often left those of sound faith hesitant to claim them as their own. This passage is one of them. In Acts 2:16-21 Peter clearly applies Joel’s prophecy to the events of the day of Pentecost. The Charismatics claim it has to do with ecstatic tongues. They are mistaken. All having the same Spirit. This is forth telling and not foretelling. Every believer has the ability to tell others what they have learned from the Word of God and have the assurance of the Holy Spirit’s enablement in doing it. “Whosoever shall call upon the name of the Lord shall be saved.”It is not everyone who calls upon the name of the Lord but everyone who does is saved. Amazing, isn’t it, that one whose sole purpose was to destroy the Christians became such a proponent of the faith? Jesus is the one who converts a man. The saved Saul increased in strength and proved Jesus is very Christ.But this only confounded the Jews and made them anxious to kill him. His power was not one to save but to convict. Jesus must be the one who saves. The word, proved, has to do with comparing one thing with another. Converted, Saul was able to compare what he knew in the Scriptures with what he knew to be true of Jesus. What seems interesting is what might be called the pride of Hosea’s passage – “when he offended in Baal…” Cambridge Bible Notes claims that this is not the worship of the Phoenician god, but of ascribing to Jehovah the worship of the false gods of the northern regions. They had not technically abandoned the God of Israel; they had merely begun to worship Him the way the pagans had worshipped their false gods. The destructive pride of Ephraim assumed that God could be pleased with a contemporary form of worship – one that was more like what the culture and norms of the location were used to. Does this not seem to be the nature of worship these days? Americans conform their services to the music, dress and visual preferences of the people they hope to attract. It is pride that assumes God will accept it as genuine worship.